Handsome Cody was adopted in late 2017. This sweet boy’s story includes a past history of neglect before being sold to slaughter. Thanks to our long-time friend Michelle, Heidi and ‘anonymous’, and also through the support of donors and volunteers, we were able to bring Cody to Equine Aid in 2016. 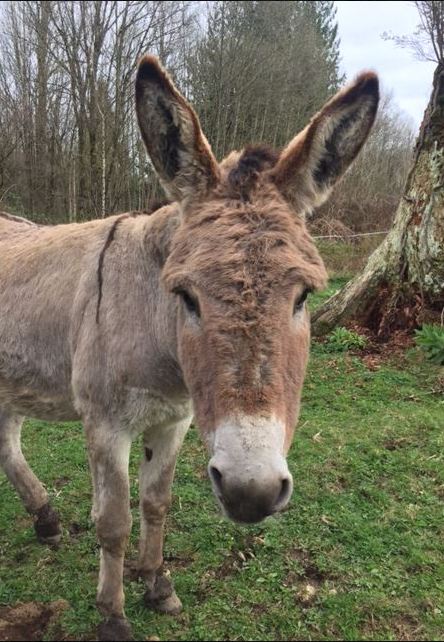 Although he was not yet gelded when he arrived, he fit in very naturally with the other donkey herd and made fast friends with our sanctuary ‘mascot’ Petey.